Each U.S. resident on the Disney Cruise Line returning from the Bahamas can bring back up to $800.00 worth of duty-free merchandise (retail price) per-guest. Each guest who is 21 years of age or older is limited to (2) liters of alcohol ( one liter of which must be produced in the Bahamas) and (1) carton of cigarettes and 100 cigars (excluding Cuban cigars) duty free. U.S. manufactured tobacco products purchased or obtained abroad can not be brought back into the U.S. These limits are mandated by U.S. Law and are subject to change. 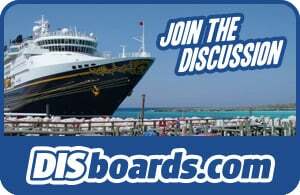 Each U.S. resident aboard Disney Cruise Line returning from the Caribbean to the U.S. can bring back up to $1,200.00 (U.S.) per traveler (and that includes up to $400.00 worth of on-ship purchases and up to $600.00 in purchases from the Bahamas). Each person 21 years of age or older is limited to (5) liters of alcohol (only (1) liter can be acquired on-board the ship or in the Bahamas); (5) cartons of cigarettes (of which only one is allowed to be from the Bahamas or on-board the ship); 100 cigars (excluding Cuban cigars). U.S. manufactured tobacco products that are purchased abroad can not be brought back into the U.S. These limits are mandated by U.S. Law and are subject to change. You must declare all articles acquired during your trip and in your possession at the time of your return. Articles presented to you while abroad, such as wedding and birthday presents or inherited items. Articles purchased in duty-free shops or on board a carrier. Repairs or alterations made to any articles taken abroad and returned, whether or not repairs or alterations were free of charge. Items you have been requested to bring home for another person. All articles you intend to sell or use in your business. Promotional items and samples for Customs purposes are only those items that are valued at $1 or less. In addition, you must declare any articles acquired in the U.S. Virgin Islands, American Samoa, Guam or a country of the Caribbean Basin Economic Recovery Act and not accompanying you at the time of your return.The price actually paid for each article must be stated on your declaration in U.S. currency or its equivalent in the country of acquisition. The stated price must include any "value added tax" (VAT) if it was not refunded prior to arrival. If the article was not purchased, obtain an estimate of its fair retail value in the country in which it was acquired.Note: The wearing or use of any article acquired abroad does not exempt it from duty. It must be declared at the price you paid for it. The head of a family may make a joint declaration for all members residing in the same household and returning together to the United States. Family members making a joint declaration may combine their personal exemptions. For example, Mrs. Smith purchased an item for $600, but Mr. Smith only purchased $200 worth of merchandise. Mr. and Mrs. Smith may combine their $400 exemptions and will not have to pay duty on the items they acquired. Articles bought in "duty-free" shops in foreign countries are subject to U. S. Customs duty and restrictions but may be included in your personal exemption .Articles purchased in U.S. "duty-free" shops are subject to U.S. Customs duty if reentered into the United States. Example: Liquor bought in a "duty-free" shop before entering Canada and brought back into the United States may be subject to duty and Internal Revenue Tax. Note: Many travelers are confused by the term "duty-free" as it relates to shops. Articles sold in duty-free shops are free of duty and taxes only for the country in which that shop is located. Articles sold in duty-free shops are intended for export and are not to be returned to the country of purchase. So if your purchases exceed your personal exemption, that item may be subject to duty. Articles acquired in a U.S. duty free shop before you left the United States, may be included in your exemption. U.S. currency (foreign currency is not acceptable). Personal check in the exact amount of duty, drawn on a national or state bank or trust company of the United States, made payable to the "U.S. Customs Service." In some locations you may pay duty with credit cards from Mastercard or VISA.